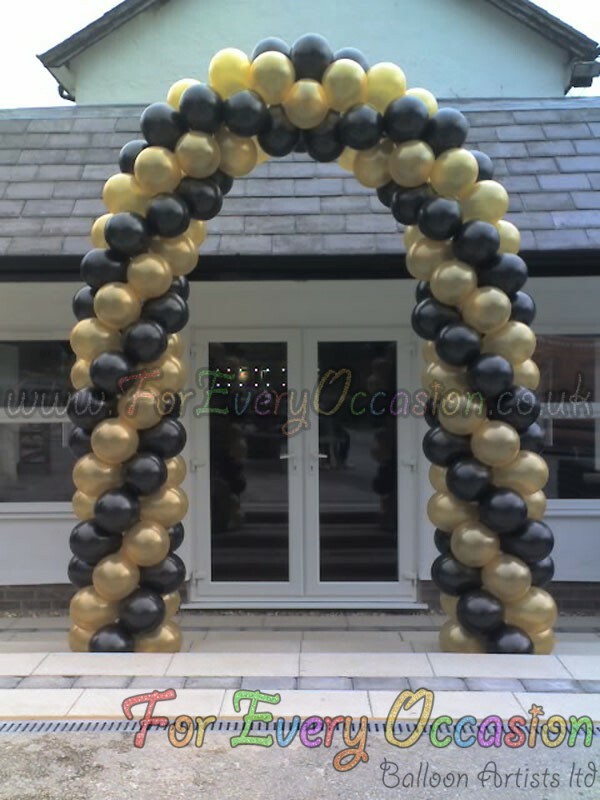 So we had a booking recently for a basic swirl balloon arch. Nothing too technical. It had to go outside for a Pub refurbishment. It was to look something like this. The stock was ordered. Ready for the job, it was a last minute job and thats where the problem started. 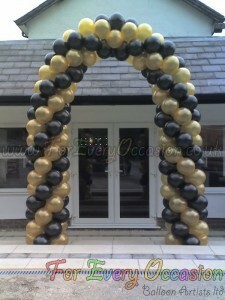 Due to problems beyond our control the stock which was ordered in time never arrived leaving us with only half the balloons for the project. So what do you do when your stock has not arrived and you have to set up for the customer at 7:30am on a Saturday morning and it is 5:00pm on Friday night and you only have half the required stock? You put your thinking caps on and get creative. We looked at what stock we had and decided to incorporate some Quick-links and 160q’s. We put the following design together. 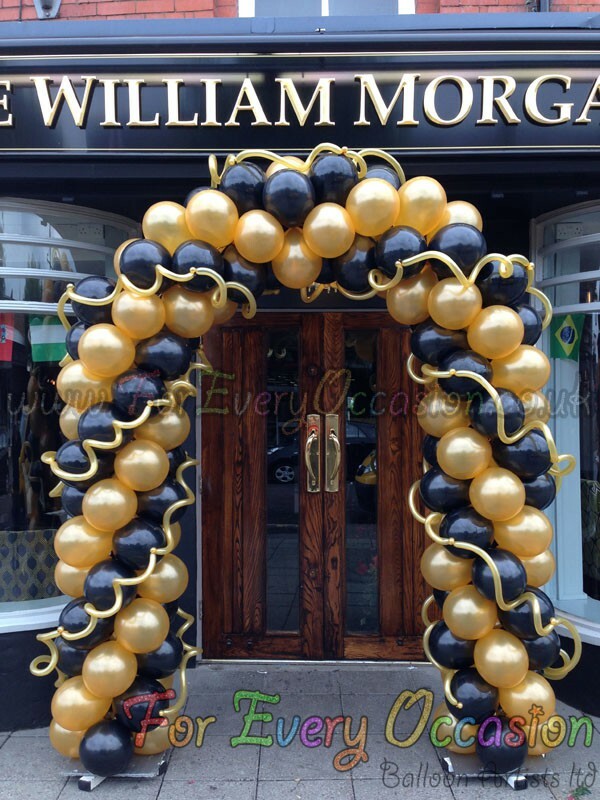 The customer loved the finished design. 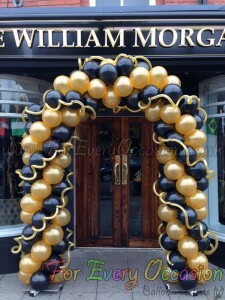 This just goes to show how versatile we at For Every Occasion Balloon Artists Ltd can be.